Rod is one of the most award-winning Creative Leaders in the marketing world. Over the last two decades, he created transformative and culture-defining ideas for the world’s top brands. His work has been recognised for its creativity and innovation by every major industry award. He has been consecutively named amongst the Top 20 Creative Directors in the UK by Campaign magazine and BIMA's Hot 100 list. Rodrigo started his career in São Paulo, Brazil, trying to become a pro skateboarder. Soon he found out he was much better at creating and making stuff. He served as Creative and Art Director for Y&R and JWT before, against everyone’s advice, opening his own boutique agency. He was 24 years old. His work for AOL and the Sao Paulo Zoo won several Cannes Lions in 2004, and 2005 with his agency named Top 10 Most Creative in the country, and Rod named Top 20 Creative Players by Meio & Mensagem. In 2005, he took Loo/ SP to the international stage by partnering with Unit9 and moving to London. In 2007, Rod joined AKQA. His body of work earned the agency top international accolades including its first ever Cannes Titanium Lion, D&AD Yellow pencils and six other Grands Prix. AKQA was named Agency of The Year in 2008, 2009 and 2010 by New Media Age, Campaign, IAB and Revolution Awards. In 2010, Rod was approached by Robin Shenfield and Pat Joseph to set up a creative agency for The Mill group - which eventually became the Mill+. His work for Audi, Absolut, CompareTheMarket and Red Gate won several international awards, including five Grands Prix. The agency was nominated 2012 BIMA's Agency of The Year. In 2013, Rodrigo was appointed Vice-President, Executive Creative Director of R/GA London, with the mission of introducing Communications and Advertising to the agency's offering and driving growth for its European and Asian operation. Under his leadership and vision, R/GA had its creative golden era and was consistently ranked as one of the best agencies in the world. It won its first-ever Grands Prix for Film, Integrated and Data - at Clios, Cannes and Eurobest, respectively - and over 200 other international awards, including six 'Agency Of The Year' awards by Campaign, Adage and Creative Review. The London office also tripled in size, evolving from being a digital agency to a becoming a 350 people full-service creative agency. Rod co-founded and architected Hustle - RGA's global creative agency with offices in Los Angeles, New York, London and Shanghai. He was responsible for the agency's vision, creative output and culture, as well as setting up its operation in London and LA. He was also responsible for forging R/GA's partnership with Beats by Dr Dre. His remit was to build the brand and develop its voice. His partnership with the Beats' CMO, Omar Johnson, was named 'World's Most Creative Partnership' by Campaign Magazine in 2016 and his work was at the centre of Beats acquisition by Apple for 3 billion dollars. Rodrigo continues to judge, write and speak as a thought leader at numerous global events. Rod is one of the most award-winning Creative Leaders in the marketing world. Over the last two decades, he created transformative and culture-defining ideas for the world’s top brands as well as helping IPG, Carlyle Group and WPP build some of their most successful agencies. His work has been recognised for its creativity and innovation by every major industry award. He has been consecutively named amongst the Top 20 Creative Directors in the UK by Campaign magazine and BIMA's Hot 100 list. Rodrigo started his career in São Paulo, Brazil, trying to become a pro skateboarder. Soon he found out he was much better at advertising and Design. He served as Creative and Art Director for Y&R and JWT before, against everyone’s advice, opening his own boutique agency. He was 24 years old. His work for AOL and the Sao Paulo Zoo won several Cannes Lions in 2004, and 2005 with his agency named Top 10 Most Creative in the country, and Rod named Top 20 Creative Players by Meio & Mensagem. In 2005, he took Loo/ SP to the international stage by partnering with Unit9 and moving to London. In 2010, Rod was invited by Pat Joseph and Robin Shenfield to open The Mill's creative shop - which eventually became the Mill+. His work for Audi, Absolut and CompareTheMarket won 32 major International Awards and five Grands Prix. The Mill Creative was nominated 2012 BIMA's Agency of The Year. In 2013, Rodrigo was appointed Vice-President, Executive Creative Director of R/GA London. Under his creative leadership and vision, R/GA London had its creative golden era. Through his work for Beats, Nike, Heineken and Google, the agency discovered its storytelling and broadcast magic. It won over 200 international awards, including R/GA's first-ever Grands Prix for Film, Integrated and Data - at Clios, Cannes and Eurobest, respectively. The agency tripled in size, evolving from a mid-size Digital shop to a 350 people Integrated Agency. It was named Campaign's Agency of the Year in 2015, 2016 and 2017. Creative Review's Agency of the Year in 2015 and AdAge’s Runner-up International Agency of the Year in 2015 and 2016. 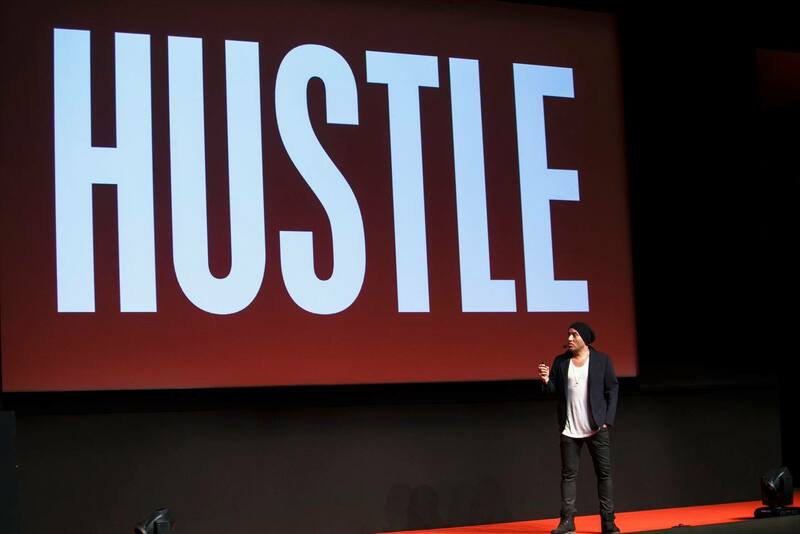 Rod co-founded Hustle - R/GA's bespoke creative agency - and forged the legendary partnership with Beats by Dr Dre. His remit was to build the brand and develop its voice. So successful was his partnership with Beats' CMO, Campaign Magazine wrote articles about it naming it 'World's Most Creative Partnership'. His work was featured at NBC, VOGUE, ESPN, CNN, Wired, TNYT, Forbes, FOX, GQ, Business Insider, Fast Company and was at the centre of Beats acquisition by Apple for 3 billion dollars. In 2018, Rod founded RDS & Partners, a Brand Building and Marketing Transformation consultancy. He continues to judge, write and speak as a thought leader at numerous global events. In 2013, Rodrigo was appointed Vice-President, Executive Creative Director of R/GA London. Under his creative leadership and vision, R/GA had its creative golden era. Through his work for Beats, Nike, Heineken and Google, the agency discovered its storytelling and broadcast magic. It won over 200 international awards, including R/GA's first-ever Grands Prix for Film, Integrated and Data - at Clios, Cannes and Eurobest, respectively. The agency tripled in size, evolving from a mid-size Digital shop to a 350 people Integrated Agency. It was named Campaign's Agency of the Year in 2015, 2016 and 2017. Creative Review's Agency of the Year in 2015 and AdAge’s Runner-up International Agency of the Year in 2015 and 2016.